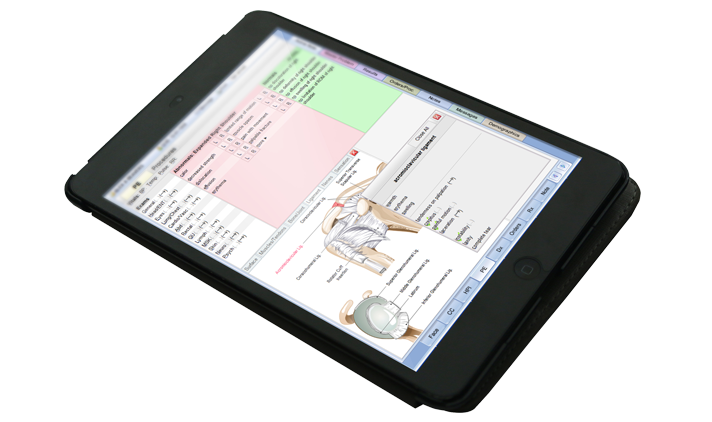 RITA uses state-of-the-art technology that performs with a variety of EMR systems, interoperable and multi-platform capable. Ports include ability to add medical peripherals such as stethoscopes, EKG, Ultrasound and other devices. RITA is designed with energy efficient architecture. RITA is the first auto-stabilizing telehealth robot that provides mobility over rough and uneven terrain, goes up and down ramps, anti-tip mechanism all with ease at a push of a lever. Three high-resolution monitors enable RITA to display patient static and dynamic data, electronic health records and multiple physicians / health care professionals simultaneously. 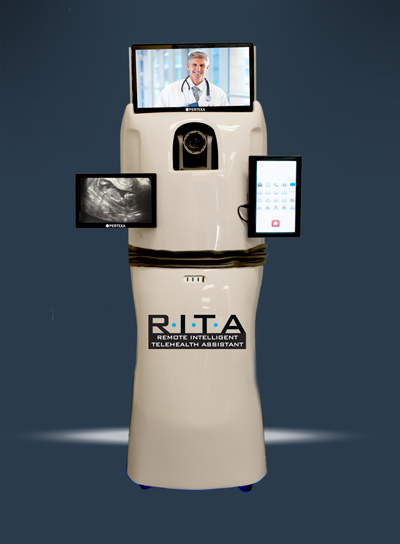 RITA is world-class, state-of-the-art technology, made in the USA, designed to improve physician productivity up to 30%! "Nation's Leading Physician Productivity Tool" for up to 30% increase in productivity! • Integrated connected peripherals available, including stethoscope, ENT otoscope, exam camera, spirometer, ultrasound and more! No additional annotation or adding notes after patient visit! RITA is designed to work seamlessly with Radekal, RITA's brainy little brother. Radekal is a physician's software tool that provide effortless productivity while maintaining the highest standard of security and HIPPA compliance. RITA's insides are quite amazing! Create & Submit a request for your query or requirement about our Products or Services. Click on Open Ticket. Subscribe to our email newsletter for the latest updates on RITA! Contact us to inquire about RITA! Copyright 2016. Pertexa, Inc. All Rights Reserved.